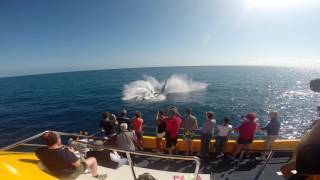 Spirit of Hervey Bay for the best value whale watch cruises in Hervey Bay. Departing Whale Bay Marina at 1.30pm, returning at approximately 5.30pm. 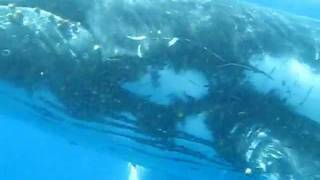 The Spirit is a very fast boat which allows them to spend the most time with the whales, less time travelling. 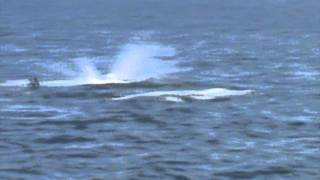 It also means they can dart between pods of whales in the Bay to catch the most active and entertaining humpbacks. The boat is extra comfortable with six spacious levels of viewing decks which means no crowding on this boat. 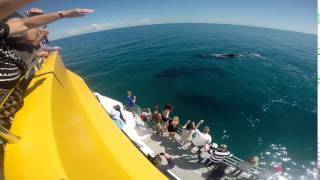 Inclusions: Return transfers from Hervey Bay tourist accommodation, afternoon tea, 30 years whale watching experience by family run business, Expert commentary with professional friendly crew, free whale souvenir DVD, free wi-fi access, children's activities, money back guaranteed sightings from 10 August to 10 October, or open return ticket for your next cruise free. Plus the Spirit features a fantastic underwater hydrophone to listen to the whales singing, amazing Waterline viewing platform for close up encounters, and of course their fabulous large underwater viewing rooms for spying on the whales antics under the waterline. Great fun and suitable for adventurers of all ages. Departing Whale Bay Marina at 8.30am, returning at approximately 1pm. 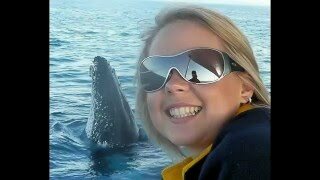 The Spirit is a very fast boat which allows their guests to spend the most time with the whales, less time travelling. 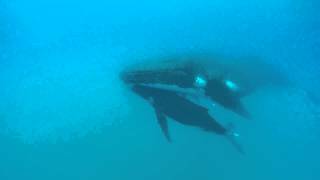 It also means they can dart between pods of whales in the Bay to catch the most active and entertaining humpbacks. The boat is extra comfortable with six spacious levels of viewing decks which means no crowding on this boat. Inclusions: Return transfers from Hervey Bay tourist accommodation, morning tea, 30 years whale watching experience by family run business, Expert commentary with professional friendly crew, free whale souvenir DVD, free wi-fi access, children's activities, money back guaranteed sightings from 10 August to 10 October, or open return ticket for your next cruise free.